Pineapple, Raspberry Beet Crisp is a delicious vegan dessert with the color scheme of a Caribbean sunset and the nutrition profile of a power smoothie. 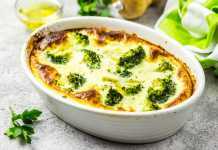 The filling offers up a diverse array of vitamins and antioxidants, while the crumble topping provides high quality fiber and heart healthy Omega-3s. Pineapple, Raspberry Beet, Crisp is a delicious vegan dessert with the color scheme of a Caribbean sunset and the nutrition profile of a power smoothie. The pineapple, raspberries and beets offer up a diverse array of vitamins and antioxidants. Ground almonds, oats and flax provide high quality fiber and heart healthy Omega-3s. As non-vegans, we like to top ours off with greek yogurt for protein, probiotics and creaminess, though it’s equally delicious with our rich sweet vegan cashew cream. In this case, you definitely should save room for dessert! Cut the pineapple lengthwise into four wedges. Cut each wedges into 1/4 –inch slices. 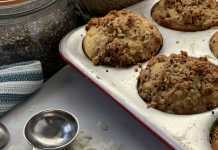 Sprinkle ¼ cup light brown sugar on a 9 by 13-inch ceramic or glass baking dish. Place pineapple slices on top of the sugar, make sure your overlap the slices to form an even layer. Top with the raspberries and grated beet. In a medium bowl combine the rest of the light brown sugar, quick oats, almond flour, coconut, all-purpose flour, flaxseeds and coconut oil. Using your hands mix ingredients until combined and crumbly. Sprinkle the crumble mixture over the fruit. Bake for 45 to 50 minutes until crumble is light brown. Remove from the oven and let it sit for 10 minutes before serving. Serve with yogurt. This dessert is vegan. Simply top it with your favorite plain vegan yogurt or our sweet vegan cashew cream instead of Greek yogurt.